Ready for some more symmetry drawing? 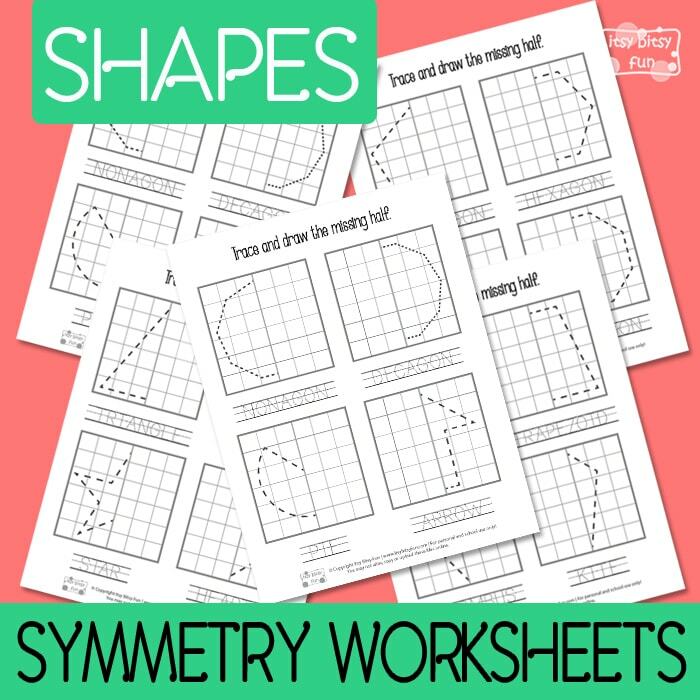 We have prepared a cool pack of Printable Shapes Symmetry Worksheets for Kids to practice on. Use the shape reflective symmetry worksheets and draw the missing half of each shape. This exercise is excellent for practicing eye hand coordination. 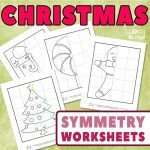 These symmetry worksheets with grids will surely be a pack of fun for kids who love to draw and color. 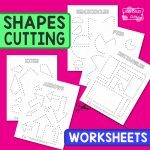 So, let’s start and do some fun tracing and drawing with a help of grids on this awesome shapes symmetry worksheets. The pack includes 6 pages and there are 22 shapes that need to be finished. On the first page, there is a circle, a rectangle, a square and an ellipse. Continue with tracing and drawing the rest of an oval shape, a trapezoid, a rhombus and a kite. On the third page, you will find a triangle, a cross, a star and a heart. Let’s trace some more and finish the shapes of a pentagon, a hexagon, a septagon and an octagon. The next few shapes are a nonagon, a decagon, a pie and an arrow. And on the last page, there is a semicircle and a crescent. 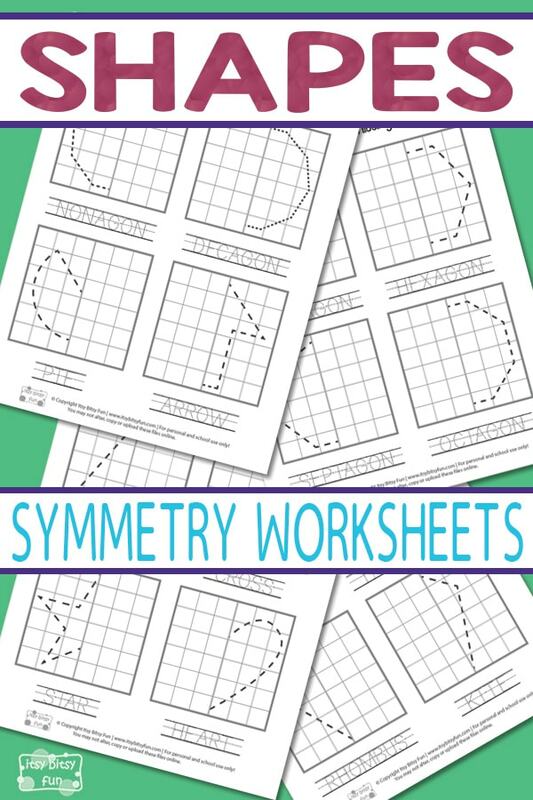 The symmetry worksheets are perfect for evolving the visual perception of different objects. Encourage your kids to trace the dotted lines and then try to draw the reflected part of the shape. 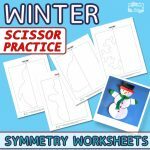 If you want to use these Shapes Symmetry Printable Worksheets over and over again I suggest you laminate them for durability. 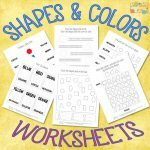 For more practice print out the 2D Shapes Flashcards . 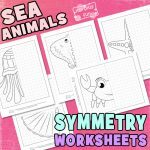 Or have fun finishing more symmetry drawings by printing the Sea Animals Symmetry Drawing Worksheets.